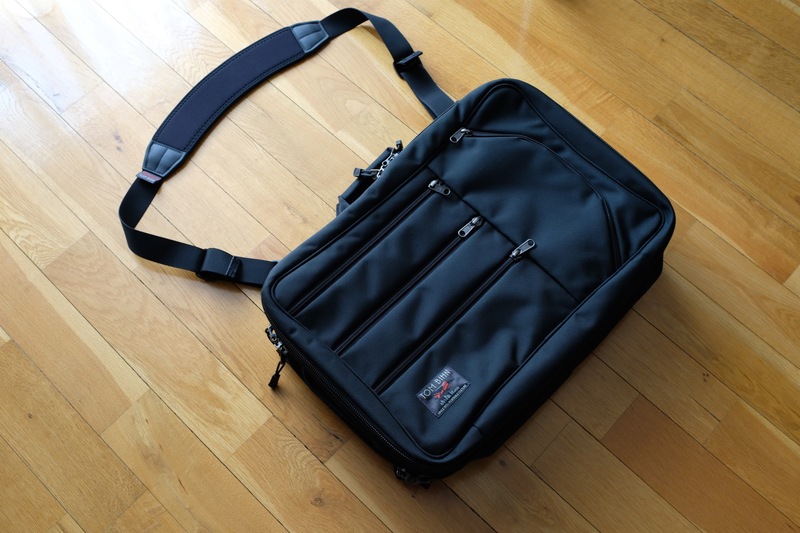 Let me introduce my newest bag, the Tom Bihn Tri-Star. A midsize carry-on friendly travel bag for the traveler or weekender. 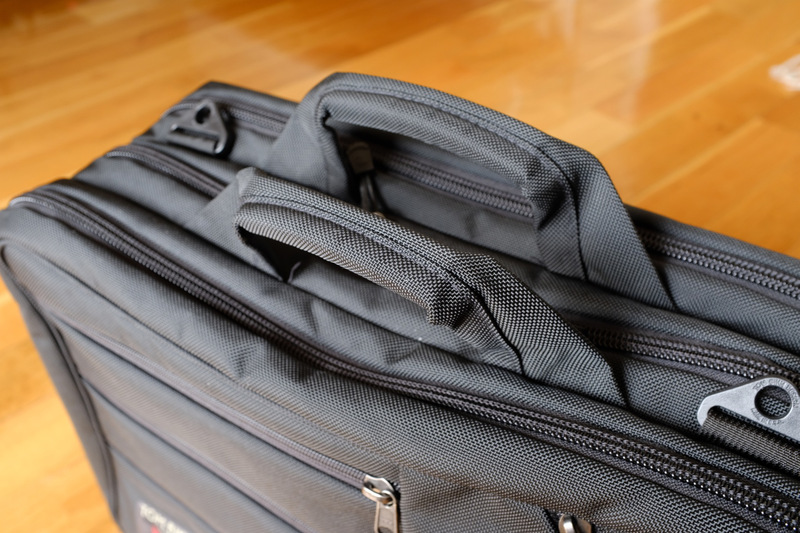 The idea of traveling with a single bag, also called one-bagging is a fascinating topic. It always made me curious about how it feels to travel with all your belongings in a single bag. I already started to travel light and minimalist. But when I started diving into the world of bags, I saw there are better opportunities to travel light. People were traveling the world with a single bag. In my case, I was wondering how it would be to travel with one bag for my business/conference trips. No checked bags, just a carry-on. For people who don’t know Tom Bihn, Tom Bihn is a popular, Seattle-based company that produces very high quality, functional and design-oriented bags. The Tri-Star (also called as TS amongst Tom Bihn users), depending on the material selected (more on this later), weighs around 1525 grams. 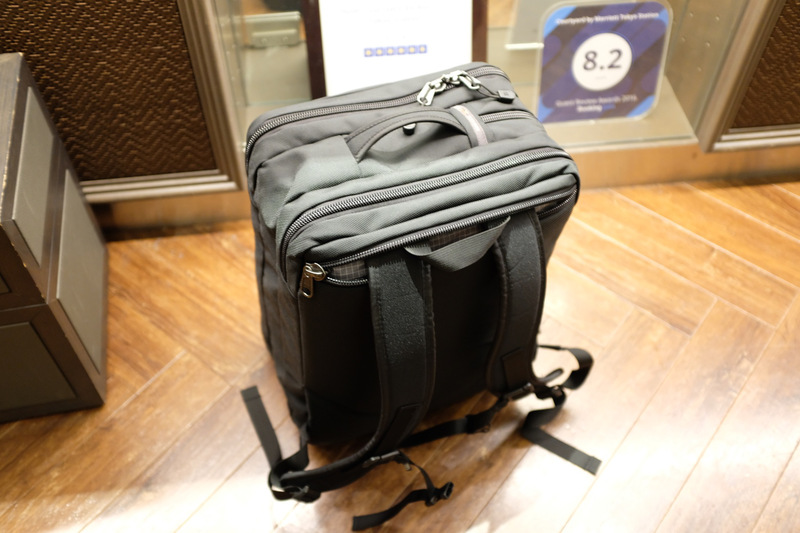 It has a 33L capacity, has multiple compartments with a room for including laptop up to 17” and costs $330. The Tri-Star has a distinct design that you don’t find in any other bag. It’s not like a duffel, nor is it like a backpack. It’s a combination of a backpack, briefcase, and a suitcase.. or not? You have to decide it yourself. It’s not shiny, it’s not something that is visible from hundreds of meters away. 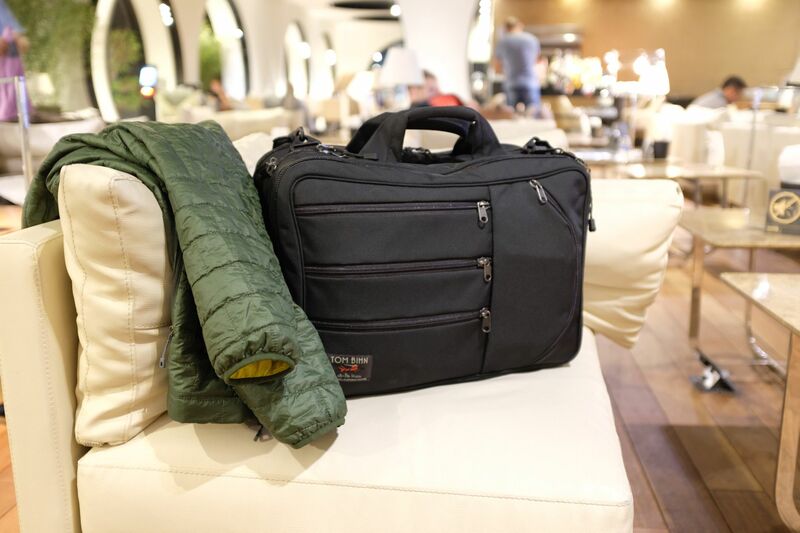 This is one of the reasons people prefer it and it’s the number one choice for business travelers because a black Tri-Star bag blends perfectly into a business environment. It doesn’t stand out too much, in a good way. All zippers are YKK Aquaguard water-repellent zippers and the Tri-Star has a lot of them. In total there are 11 zippers. Four of them are on the front, six of them open the compartments and ,one to reveals the backpack straps (more on this later). Also, the zippers have lockable sliders. Having the lockable sliders is really great as I’ve used it several times when needed. For example, when I’m in a hotel room, I’ll lock the middle compartment with a TSA lock if needed. The problem though is, the zippers of the main compartment as not smooth as it should be. They are difficult to pull because of their heavy size. They break in after a certain usage though and gets smoother with time. It comes with two different choices for exterior fabric. The one I have is made of 1050d high tenacity ballistic nylon. It’s a durable material (originally designed for use in bullet-proof vests) and is super-though. 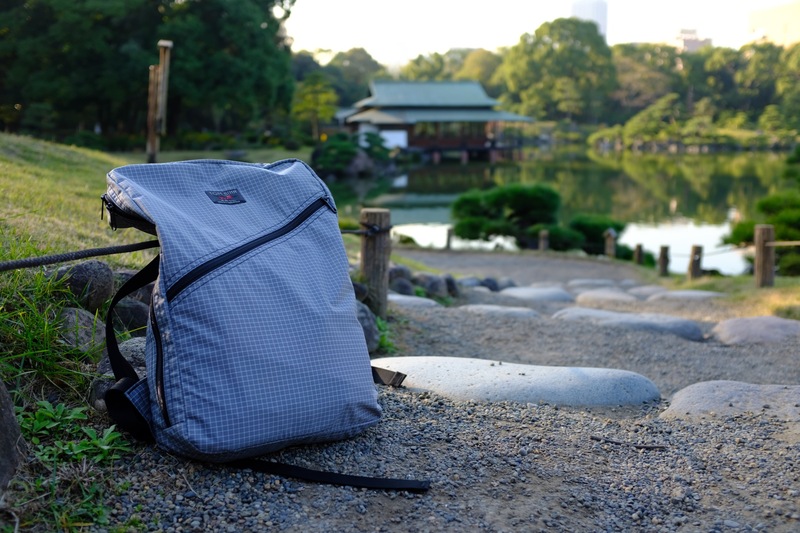 The bag can also be purchased in a more lightweight material, called Halcyon 400 Denier. This is lightweight nylon fabric with a good kind of abrasion resistance. Because of its lightweight materials, it’s 300 gram less. As always, more information about the materials can be found in Tom Bihn’s excellent materials page. Most people I’ve seen choose the ballistic nylon version due to its tough materials. Also, because of the way the Tri-Star is built, it holds its shape better with the ballistic nylon. As with all Tom Bihn products, it’s excellently built. It’s a piece of art work. I’m not sure there is a single reduntant negative thing I can say about the build quality. Everything is top notch. 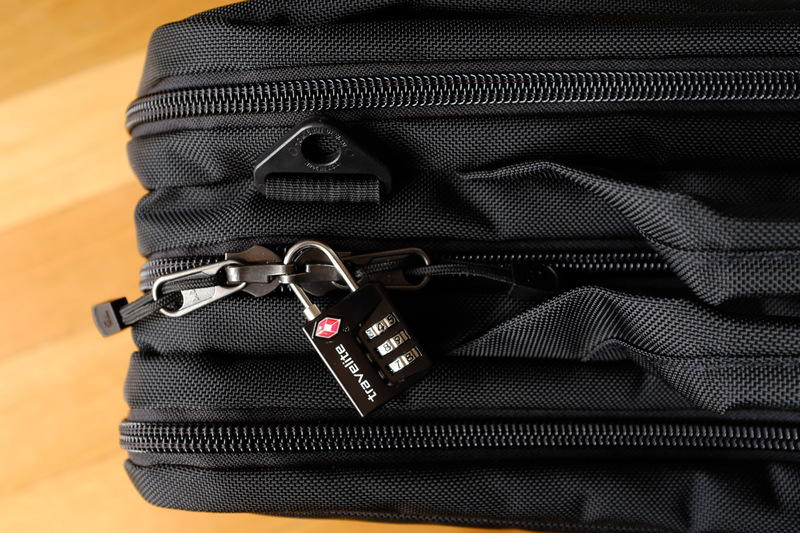 The Tri-Star was designed for traveling with your tech gear and clothes. Every single small detail is geared and fine-tuned towards this end goal. 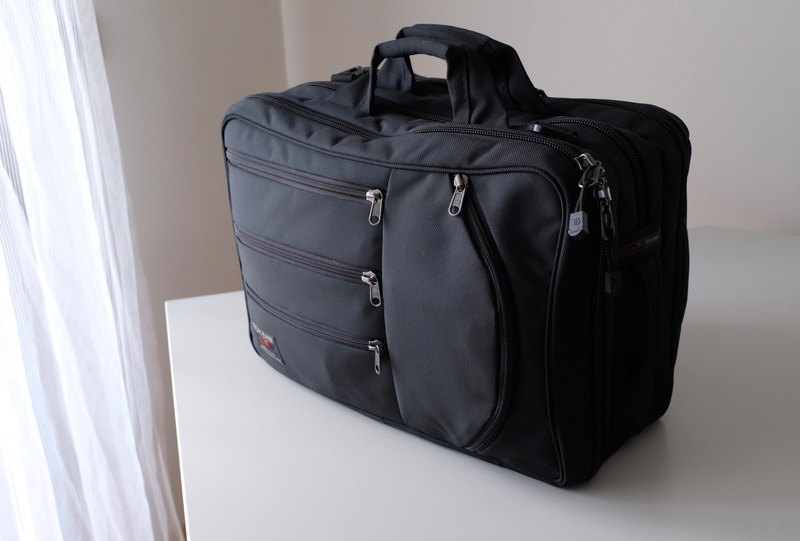 As I said, it holds around 33L, so it has plenty of space to carry all your belongings. One important aspect though, is that the Tri-Star requires the traveler to be organized. What does this mean? 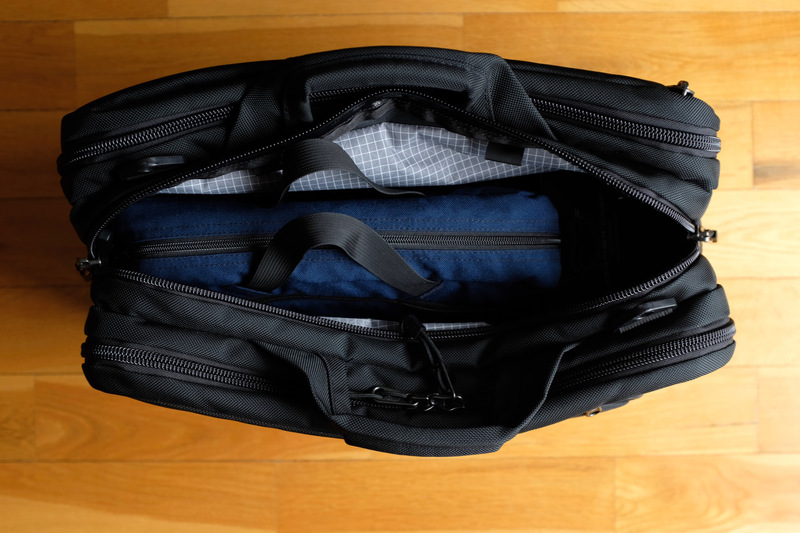 Each of the main compartments is designed in a way that it can fit custom fitted packing cubes and Tom Bihn accessories. All compartments have O-rings to attach small Tom Bihn pouches (see my previous review about the Tom Bihn Daylight Briefcase where I explain it in more detail). If you want to use the Tri-Star without thinking about how to organize your belongings, you won’t maximize the most of it. If you intend to buy this bag, you should also buy into the organizational system it provides you. There are four front pockets and three main compartments. These three main compartments can be used in various ways. The front compartment has a divider which you can use to separate your clothing. There are also custom fitted packing cubes for each divided section. 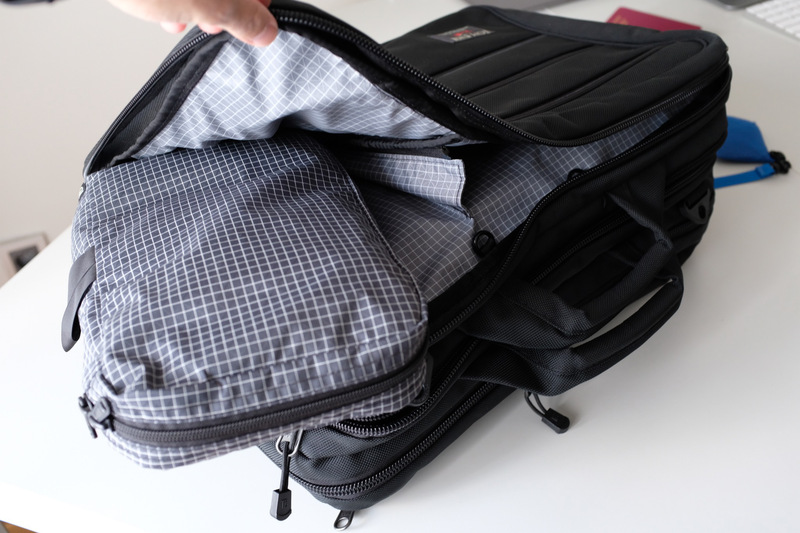 The middle compartment has support for attaching a laptop sleeve (called Cache) via the rails system. I’ve explained more about this in my previous review. 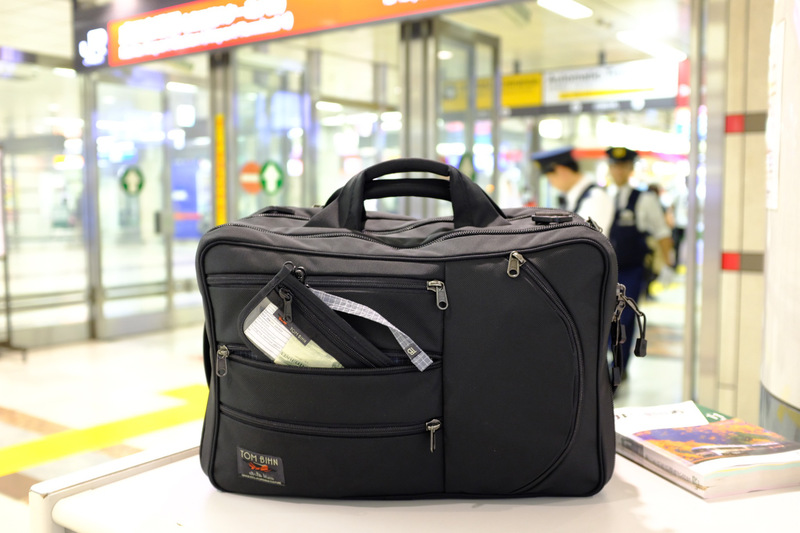 The rails system lets you convert your bag into a TSA checkpoint friendly bag, which is really cool. And as with the divider in the front compartment, this feature is there if you need it. Don’t carrya laptop with you? You can take the sleeve out of the middle compartment and just use it for your clothes! 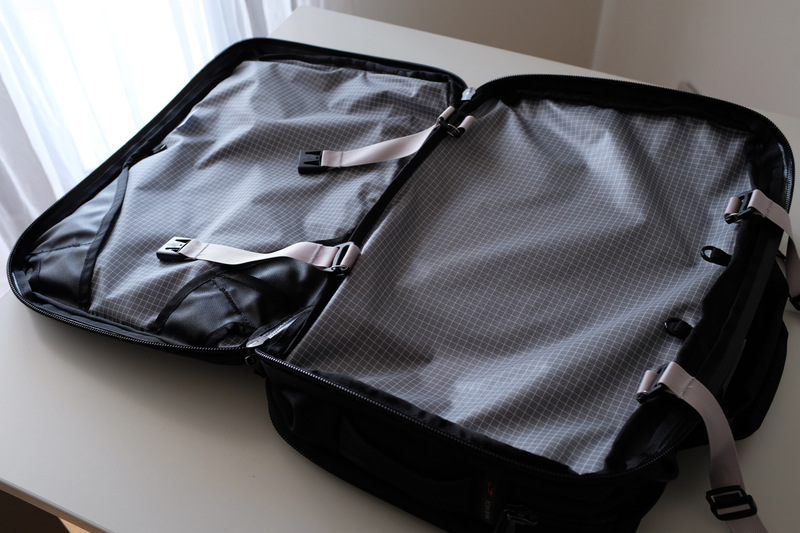 However, the middle compartment is also big enough to carry another small bag. In my case, I put my Daylight Briefcase inside it and carry it with me. Later at the destination, I pull it out and use it to commute to the office or conference. The back compartment is just like the front compartment: full of space able to be laid out. Unlike the front compartment, this doesn’t have a divider. But it has something the front compartment doesn’t: two compression straps to keep your clothing in place and wrinkle-free. And you probably know I’m going to say, but these straps can also be removed in case you don’t need it. 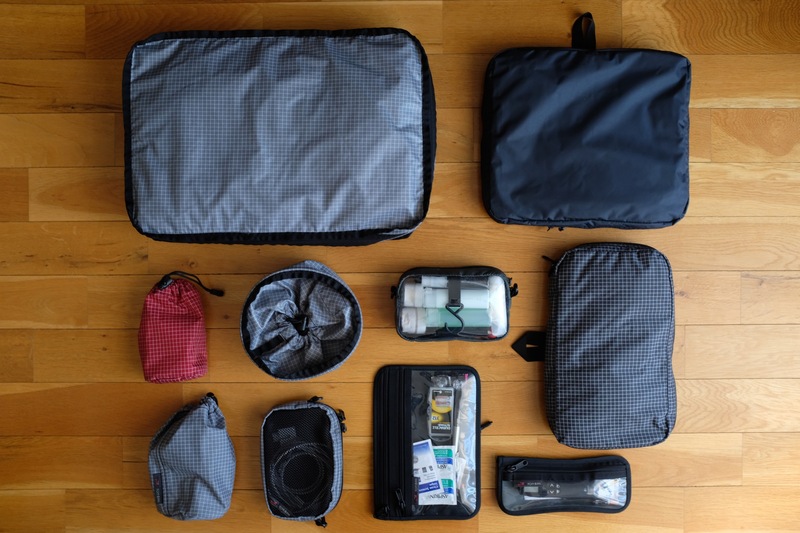 Most people prefer to use packing cubes (more on this later), so they don’t need the straps. In my case, I always use the straps. 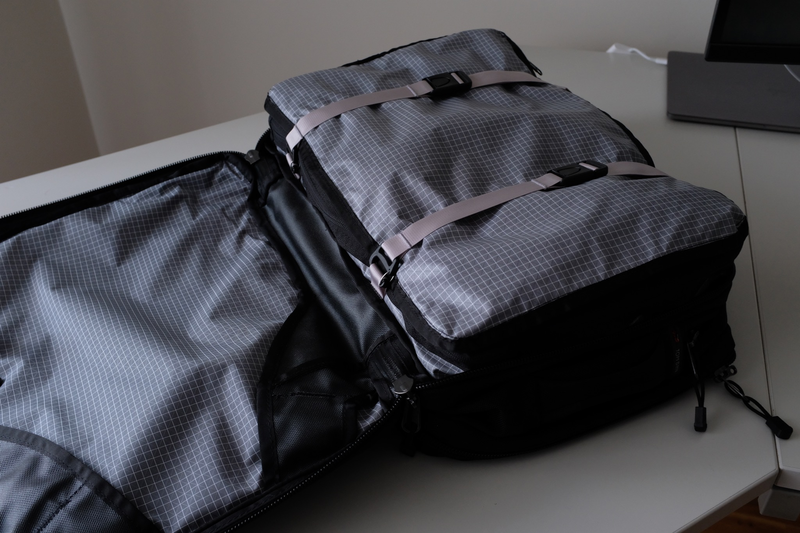 Even with packing cubes, the straps allow me to compress the cubes even more. While using all three compartments extensively over the last few month, I came to the conclusion that I have to be very careful not to over-pack the main compartments. 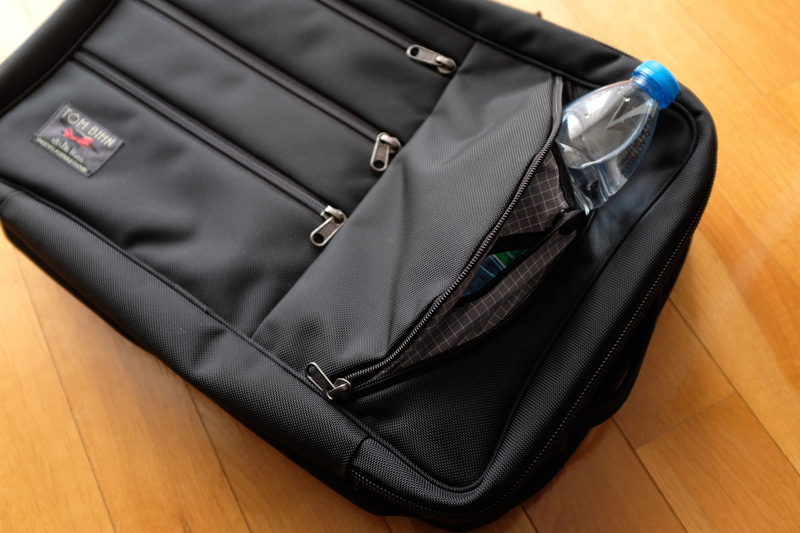 If you over-pack the front and back compartment, the middle compartment will be squeezed, making it hard to put or pull things in or out of it. There is no rigid structure between the compartments, meaning each of them can take space from another one. One solution I’ve found to mitigate this problem is to put some items that can’t be squeezed inside the middle compartment (such as a water bottle). This allows me to take out or put in items without a big hassle. There are also four zippered front pockets, each with its own depth. The three horizontal pockets on the left side can be used to store various kind of small items. I put there two clear organizer pouches with various kind of items and a TSA lock I can use later. These pockets are the perfect place for your small items that you don’t want to put inside the main compartments. On the right side, there is only a single zippered pocket. This is designed very differently. If you unzip it entirely, it can be expanded to accommodate a water bottle. 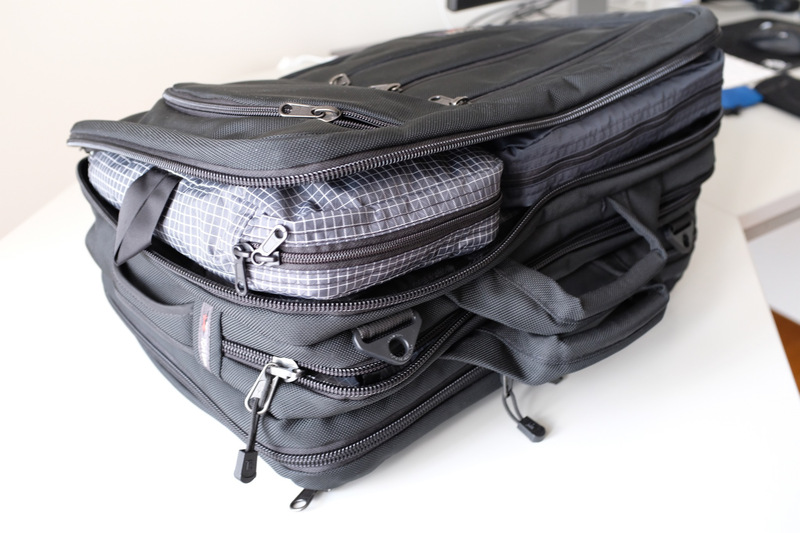 If you don’t unzip it fully, it has a great vertical space, just like the other three pockets. I use this pocket mainly for my passport and boarding passes. However, sometimes if I have a water bottle with me and I have to carry it, I’m happy it’s there If I need it. One issue I have with these pockets is it’s hard to access and pull your items out of it if your bag is fully packed. The Tri-Star can be quite bulky if you fill it or if the packing cubes are overpacked. This problem is persistent in any other bag as well. Outer pockets have space that is used by the inner, main compartments. 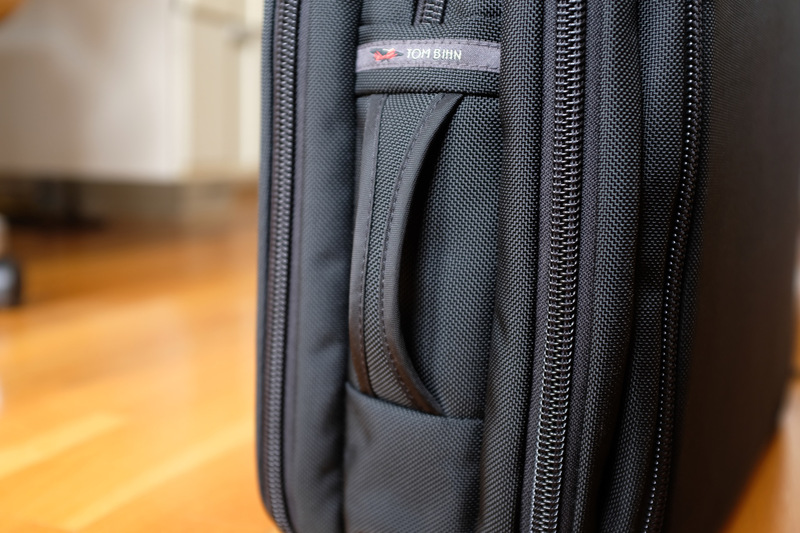 I’m not sure how to solve it, but I believe the Synapse from Tom Bihn has a great design that prevents this. The Tri-Star is a perfect bag to carry packing cubes. 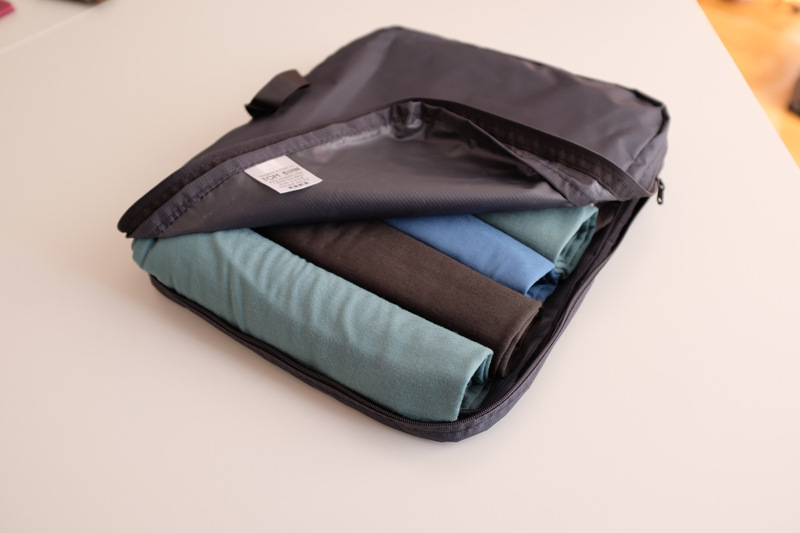 Packing cubes allow you to put your clothes in an organized and tidy way. It allows you to roll your clothes which earns you space. It’s very easy to pack and unpack at the destination. Small and Medium size: This fits into the front compartments left and right side when the divider is closed. You can also use them without the divider for all compartments if you wish. Large size: This fits into the front or back as a single piece. There is an even a special packing cube that also converts to a backpack (more on this below). 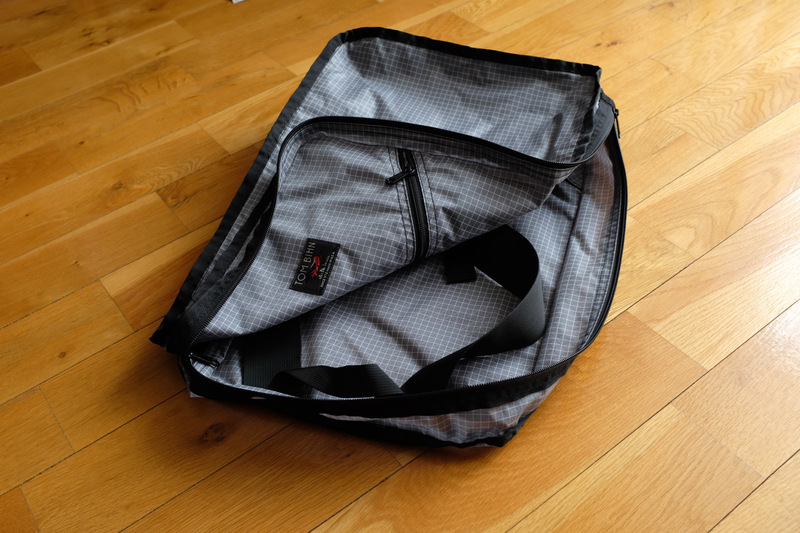 Tom Bihn provides several packing cubes in different materials and colors. The ones I have are Aether (super light) and Halcyon (light). 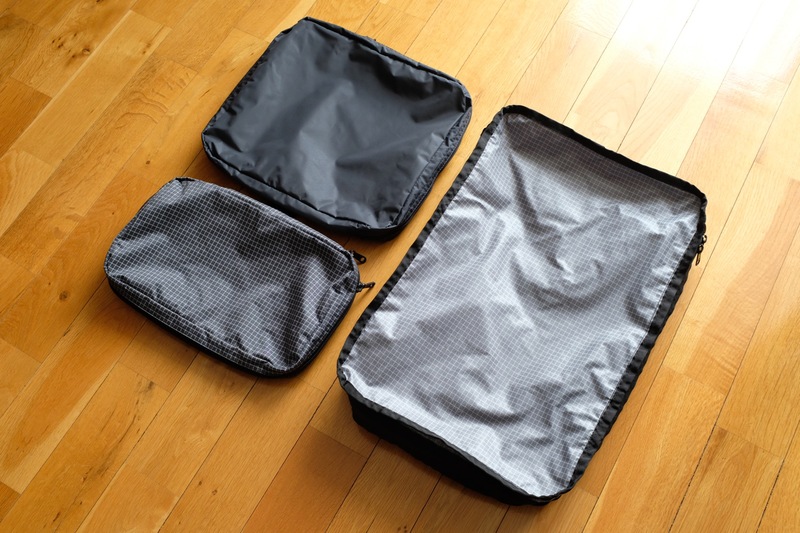 There are also mesh based packing cubes, which are good if you want to let air, also they can be compressed even better because air can flow out. Instead of buying a plain large packing cube, you can also opt-in to buy a packing cube that is specially designed to be a backpack as well. It’s called Packing Cube Backpack (also called PCBP amongst TB users). This item is one of my favorites. Don’t be deceived by its look. It’s actually a packing cube. It’s of size ”Large” which is custom and perfectly sewn for the front and back compartment. 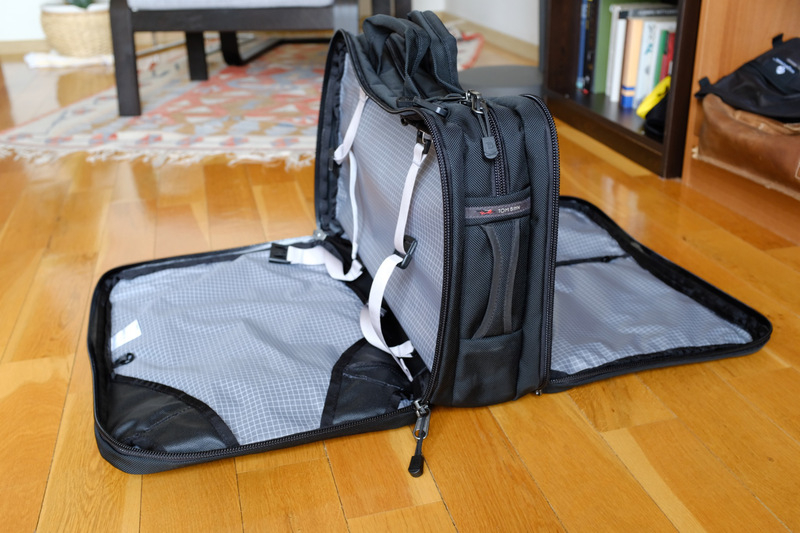 In its packing cube mode, it can hold all your clothing if you travel light. In my case, it can hold two pants, several t-shirts, underwear, socks, co. However because it’s that big, it also makes it hard to organize your clothing. Beside the main compartment, there is also another front compartment to put items for quick access. And as with all Tom Bihn bags, the PCBP also has multiple O-rings you can use to attach various pouches. I’m using it in the backpack mode at my destination. Whether it’s our family vacation or conference visits don’t matter. I use it to hike through the city or use it to carry the toys of my little son :) While I’m traveling I put a lightweight jacket, a bottle of water and some small snacks. The straps are very comfortable and in overall the backpack, even though it’s build materials is very comfortable to carry. The backpack is made out of 200 denier Halcyon and just weighs 260 grams. It is really lightweight. However, this light material also means there is not much back padding support. Sometimes I wished it had some kind of padding as some of the items I’ve put into the backpack would poke from inside. A fix would be to add a small sheet of plastic, just something that would add some structure. I have Packing Cube Backpack (Tri-Star, Northwest Sky) that I use for my clothes, pants, etc.. This also converts into a backpack, which I use at my destination for hikes in the city. A Travel Stuff Sack (Iberian, Size 1). It holds various kinds of medicines: such as Aspirin, antibiotic ointment, small lotions, bandaids etc.. This is the only color (red) that is outstanding. Why? Because in case of emergency or anything a like, I can grab it immediately. The Large Northwest Sky Travel Tray is one of my favorites. During my travel, it holds my iPhone and Apple Watch chargers, Batteries for my Camera and various other small things. As I travel a lot, I have a TSA 3-1-1 liquid bag, which is attached to an internal O-ring. This allows me to show it in case the officer asks for it. I have a Small Halycon Packing Cube, which I use for shoes (if I carry them with me) or small clothing, such as socks, underwear, etc.. The 3D organizer cube (Mesh, Northwest Sky Halycon) is used for various kinds of chargers and cables with me. This is very handy, as they are all in one place. One of the great things about this organizer is that it has an internal hook that I use mainly in airplanes to hook it to the seat in front of me. This allows me to easily access additional items I might need during my flight, such as hearing aids, glasses, etc.. I use a Doubler Organizer Pouch (Medium) to hold my other small items. Mostly hearing aid batteries, a small Moleskine notebook, USB stick, medication (such as Aspirin, Nurofen, etc..) and various other small bits. Lastly, I have another Clear Organizer Pouch for small tech (sd cards, presenter) and pens. As you see there is a lot of ways to organize all your stuff. What the best is that it makes the Tri-Star or any other Tom Bihn bag highly modular. 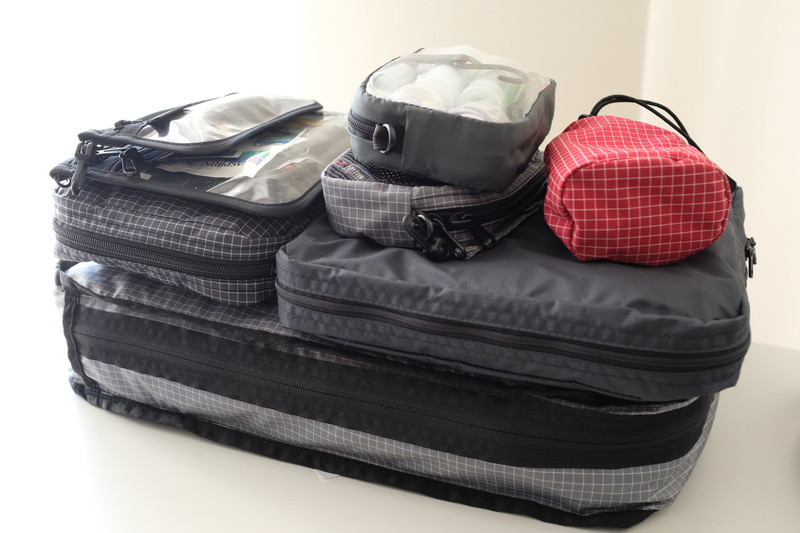 All these pouches or packing cubes can be used also in other bags. This means you can use the same gear for your commute, for a weekend travel or your upcoming 1-2 week vacation trip. There are many ways to carry the Tri-Star. One of them is in briefcase mode. The Tri-Star has two heavily padded handles that provide a very good comfort and stability. If you didn’t pack a lot or you just want to carry it with your hands, this is the way to go. There are also two additional attachment points for an optional shoulder strap to carry it as a shoulder bag. You can use your own strap or use the much recommended Absolute Shoulder Strap. I can definitely attest that it makes it very comfortable to carry in shoulder mode with this trap. This strap has a unique, patented, internal control-stretch system that stretches itself under heavy load. Finally, there is a backpack mode as well. On the back of the Tri-Star, you can find a hideaway backpack straps. All you need is to unzip, pull out the straps and snap them into the hidden holes. And voila, your Tri-Star is now converted into a fully functional backpack. The backpack is surprisingly very comfortable to carry. The straps are padded and contoured. They feature a removable sternum strap and you can even enhance it with an optional removable waist strap. In my opinion, the sternum strap is a very welcome addition. I’ve bought the additional waist strap as well, but I think it’s not that useful as it’s not padded and therefore doesn’t transfer some of the load to your hips. But it could be helpful to stabilize the bag to your body. When you start using this bag, you’ll encounter many small design details that makes you love this bag a lot. One example of this is left and right ends of the Tri-Star (on the sides of the bag), whose have padded grab handles that allow you to easily grab and pull your bag out of the overhead compartment. Without these handles, it would just make everything more difficult. 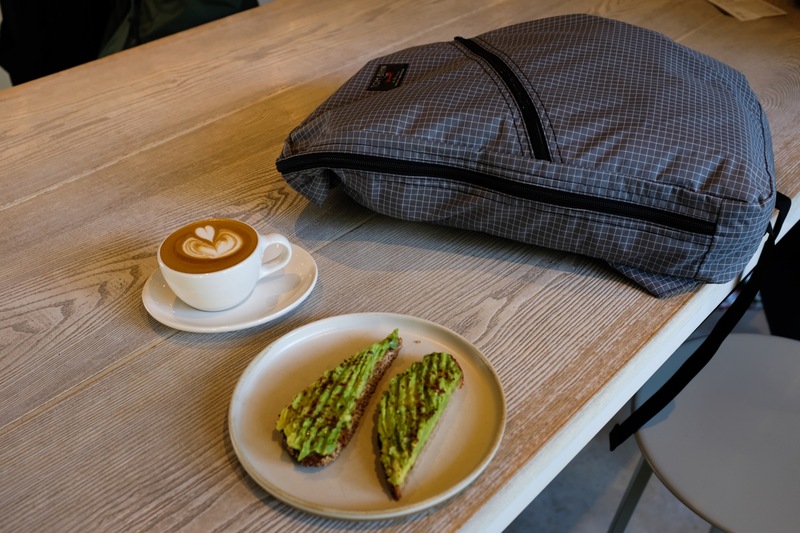 Suppose you’re using the bag in backpack form, you’ll see immediately there is another handle coming out of the strap compartment, which you can use to hang your bag if needed. These small details are what makes this bag a joy to use. 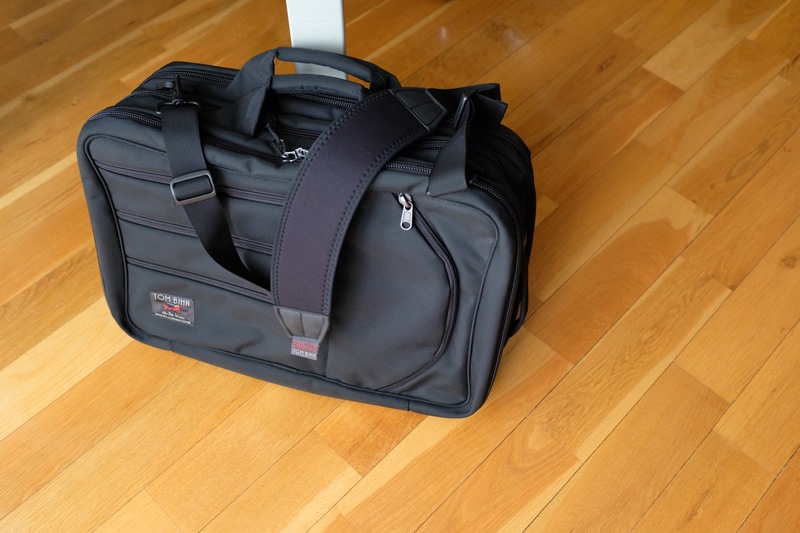 The Tri-Star is a great bag for one-bagging and business travels. It’s amazing capabilities to organize your items is unparalleled. If you like organization, you’ll see that each item has its own place. If not, you’re going to like the organization it provides. The bag is highly modular, can be carried in every way and is built on quality and craftsmanship (I know I said it before). However, the Tri-Star is also not for everyone. Due it’s designed it can be quite bulky if not packed carefully. If you just want to throw your belongings into it, you won’t maximize your usage. 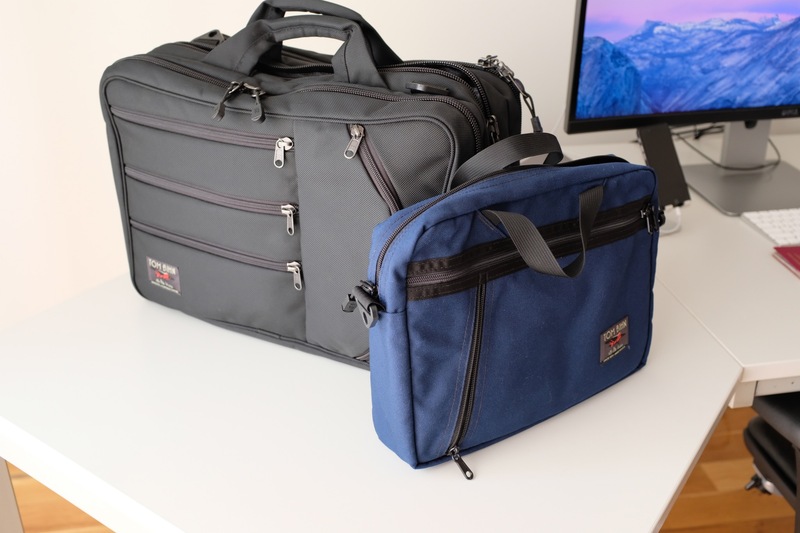 There are other Tom Bihn bags that are better suited for those cases (such as the famous Aeronaut) Second, It’s not cheap at all, it requires a serious investment compared to other bags. If you buy into the accessories system, that will even cost more. But you get what you pay for, a bag you can use for decades. And if you travel a lot, all the small details and organization will make your life just easier. So you have to decide whether this is something you want or not. I travel a lot. To our office in NYC, to conferences around the world, to family vacations. In all these cases the Tri-Star was a joy to use. Finally, I want to thank Dan Norris for his much valuable feedback and suggestions.